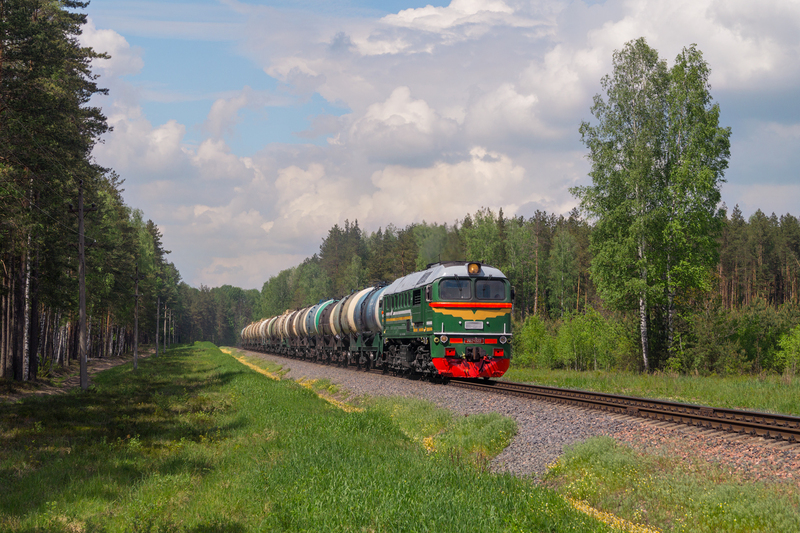 26 may 2017 - M62-1322 with local freight train on Lapichy (бел. Лапiчы) - Veraitsy (бел. Верайцы) stretch. Tanks return from «Neftebitumen plant», which is located near Gradzyanka station.